The SWMP1B has a dark gray T6061 aluminum handle with rubber inserts. Black finished 4034 steel clip point blade with a plain cutting edge. 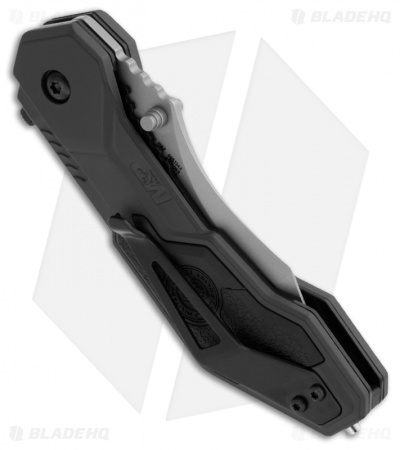 Includes pocket clip, safety and glass breaker. 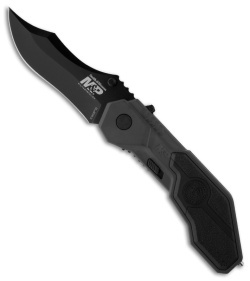 So Smith and Wesson have this knife listed as a spring assisted knife, but in our opinion it is more of an automatic. The blade is deployed by either the thumb stud (spring assist) or you can push the button on the spine of the knife and it opens automatically. Either way, this is a GREAT knife and you'll be pleased! M.A.G.I.C. stands for Multipurpose Assisted Generational Innovative Cutlery.